Beginning from the 4th of January 2019, Matric students from all over South Africa will receive their results while IEB students will be able to access their results from midnight on the 3rd of January 2019. A number of options have been given by The Department of Basic Education to help candidates to track and receive their matric results. From 6:00 on that very day, The Department of Basic Education’s website will begin posting partial results. Registration can also be done by candidates to receive updates on their results on News24’s dedicated matric results page. IEB students will be able to access their results from 00h00 on Wednesday 3 January here. Students are warned to expect slower than normal server responses that day due to the expected elevated levels of traffic. You can dial *120*35658# from your mobile phone to access the USSD results service. You will be asked to answer a series of questions and will be required to enter your ID number. 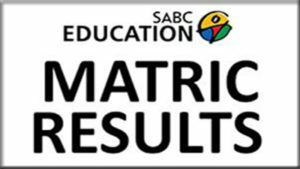 The Department of Basic Education and SABC Education have partnered to offer instant results via SMS. You can register via SMS by sending your identity number followed by your exam number to 35658. Once your registration has been successful you will receive a confirmation SMS. SMSs cost R1 (free SMS don’t apply). If you have provided the IEB with your cell phone number your results will automatically be sent to that number. If don’t panic, you can register by sending an SMS to 35135. You will receive a confirmation message once registration has been successful. Please note that SMSs cost R3.